Another installation of a Thatcham approved alarm took place today in Doncaster. The alarm of choice for this 2012 Nissan Nevara (original purchased from Doncaster Nissan) was the Sigma S35 CAN BUS alarm. Once fitted, the Sigma S3 CAN BUS alarm combined with the vehicles factory fit immobiliser upgrades this vehicles security to full Thatcham Category one criteria, known as a 2-1 upgrade. Our mobile engineer fitted the CAN BUS alarm system at the customers home address in Doncaster, it was either here of at his work address in Sheffield. Either way we offer mobile fitting of car alarms and CAN BUS car alarms to both these areas, all from our head office here in Leeds. The Sigma S35 CAN BUS alarm offers, door, bonnet and boot protection along with ultrasonics mounted in the passenger cabin and a dashboard mounted LED for visual warning to any would be car theif. 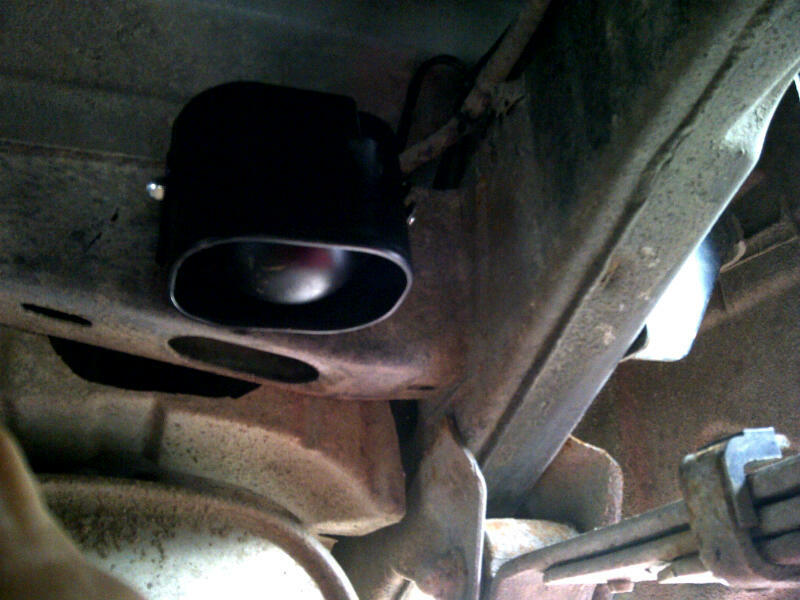 We also installed an additional high power siren to the underside of this vehicle in Doncaster. This was interfaced to the Sigma S35 CAN BUS car alarm to allow it to power only during an alarm cycle. The sirens can be found here. These are very loud…who knows he may be able to hear his car alarm from work in Sheffield whilst it's on the drive in Doncaster. To beef up security even more we also installed a MRS switch to the door of the Nissan Truckman Top (Truck Man Top). This presents a really well protected vehicle, that used some very simple parts for great protection from a simple car alarm. We can offer this service throughout Yorkshire, not just in Sheffield and Doncaster. If you would like to discuss a CAN BUS alarm for your van or car then please feel free to contact us.